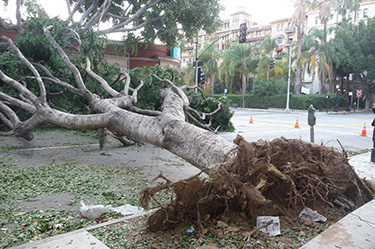 In response to the major windstorm disaster, Pasadena Beautiful Foundation (PBF) in collaboration with the Pasadena Community Foundation (PCF), established the Pasadena Windstorm Tree Fund to raise funds for the purchase and re-planting of over 2000 street trees lost in Pasadena during this devastating windstorm. The Pasadena Community Foundation (PCF) offered a $10,000 matching grant to PBF whose Board stepped up and raised $33,000 bringing the total to $43,000. Every dollar donated to PBF was used for the sole purpose of re-planting trees. 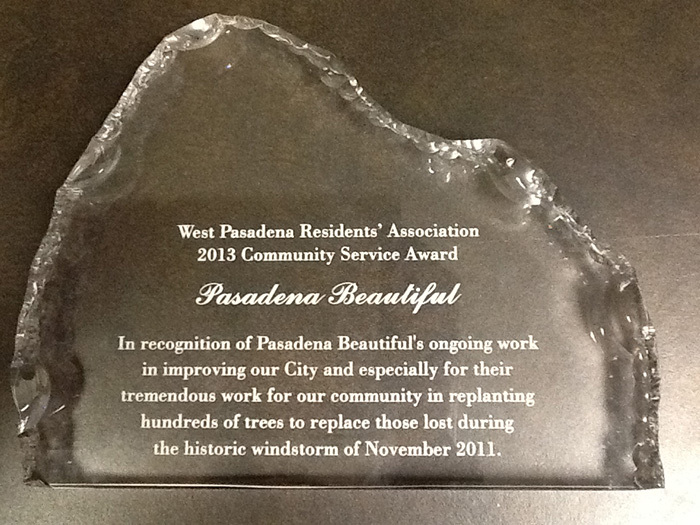 The City of Pasadena was appreciative and thankful that the two organizations worked together to make this possible. On March 27th, 2012, The City of Pasadena, Pasadena Beautiful Foundation and The Pasadena Community Foundation came together at a ceremony to launch the re-planting of the first of 400 trees that was funded by the $43,000 contribution. The entire amount was spent to pay for and plant 316 trees. 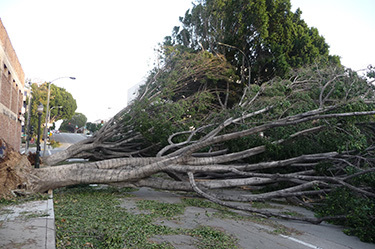 In addition, funds were used to re-stake 135 trees that were toppled in the high winds. The planting which began in early spring was concluded by November 28, 2012 close to the one year anniversary of that horrific storm. 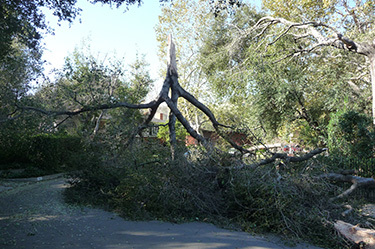 PBF completed it’s commitment to the planting of replacement trees that were downed or badly damaged by the 2011 windstorm that devastated many areas of Pasadena. Additional trees that were damaged continue to be identified for removal and replaced. This effort was led by Emina Darakjy, who selected all of the new trees, and coordinated with the City for the proper species and sites. Those of you who are tree enthusiasts, will like to know that some of the species were Quercus Agrifolia, Southern Magnolias, Chinese Elms, Camphors, Jacarandas, Southern Live Oaks and California Sycamores. Home owners are encouraged to contact us with questions regarding street trees. If you see a location where a new tree is needed, or perhaps one that is dying, please contact our office via email or phone with a few details, and we will make every effort to replace it.